Jai Paul, JAHKOY, Nicki Minaj Feat. Beyonce, Ludacris, sdies Bootleg) - Faith Evans and more. 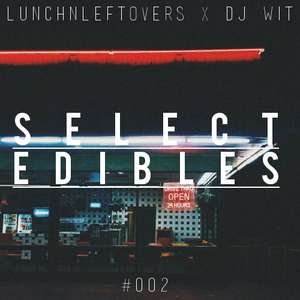 Lunch N Leftovers and DJ Wit are back to bring you the second installment in the Select Edibles series! Just like the first one, this new mix includes some of the freshest originals, bootlegs, and remixes out there, both major and independent. So sit back and enjoy, and make sure to follow us below!